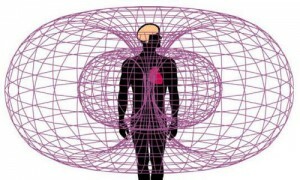 “The heart is a sensory organ and acts as a sophisticated information encoding and processing centre that enables it to learn, remember, and make independent functional decisions,” Institute of HeartMath Director of Research Rollin McCraty wrote in the paper, The Energetic Heart: Bioelectromagnetic Communication Within and Between People. The heart, for the medical community, has only been one thing, a pump. Luckily, new scientific studies have shown that the heart is much more than that. It has shown that the heart is the central control centre for the body. It communicates with the brain and other body systems with a complex combination of hormones, electromagnetic fields of information and mechanical pressure created by the pulse. The heart is 100 to 1000 times stronger and can be measured several feet away. But beyond those scientific aspects, there are feeling and emotions that can be magnified by focusing on the area of the heart to create magical changes in the way you feel. If the brain calculates everything, the heart just knows without having to confirm things with proof. If the brain measures, adds and subtracts, the heart intuitively receives the information and understands. If the brain responds with pleasure because a goal was met or responds with pain because it was not, the heart can feel the pleasure with or without the goal being met. The power of the heart is the power to feel feelings unconditionally. It is the power to transform fear into peace. It is the power to transform hate into forgiveness. It is the alchemical power within each one of us. It is the catalyst for change. It is the most powerful neutraliser and the creator of harmony in our lives and in our bodies. Place both hands on your heart and breathe in and out through your heart. Do this about five times. Keep breathing in and out through your heart and think of the word “peace” over and over until you create the feeling of peace within. Let your heart expand this feeling even more. Now with your intention send this peace throughout your entire body starting with your head and moving down into your body ending at your feet. Think of the word “compassion” and repeat it over and over again until the feeling of compassion is created within. Let your heart expand this feeling. Extend your compassion inward towards yourself and then outward towards others. Let your intuition that comes from your heart lead you into repeating the same process with whatever it is that you need most right now. Check out this Spirit Science video about our powerful hearts..